FOUR Serviced building plots all benefiting from full planning permission in place for an executive barn conversion style development. Alexander Jacob are pleased to offer an exciting opportunity to purchase FOUR available plots within the beautiful parish village of Marton. 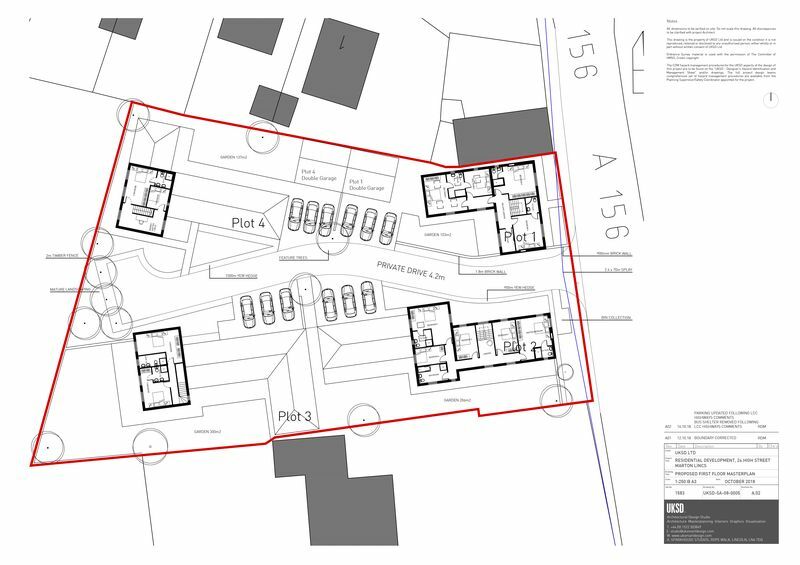 Please see imagery & attached documentation for specific planning details for plot one. Modern Edge Development Group offers discerning buyers a real opportunity to create a home where genuine craftsmanship and innovation will be combined to construct three new properties of beauty and elegance. Please forward any enquiries to our office on 01777 566400. Village Farm Drive, when built, will be a striking and efficient modern development constructed in a distinct traditional style. 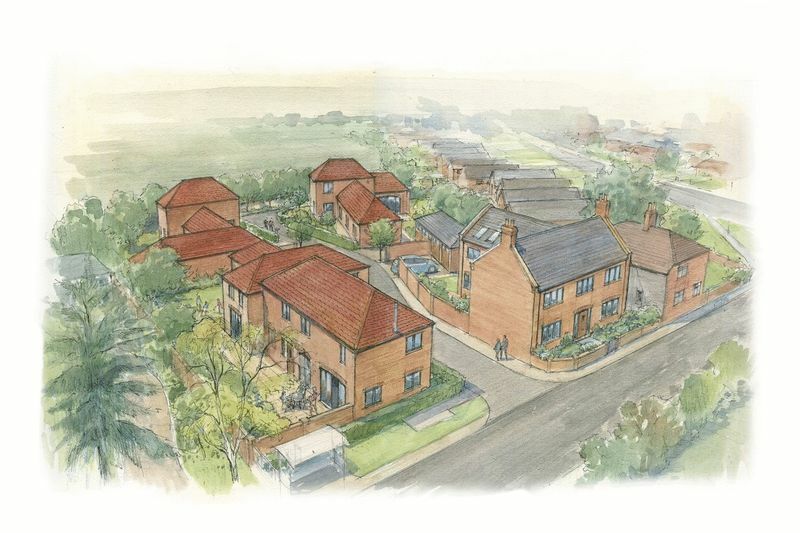 As you enter the site, there will be a Farm House, to the left there will be a detached barn style dwelling (plot 2). 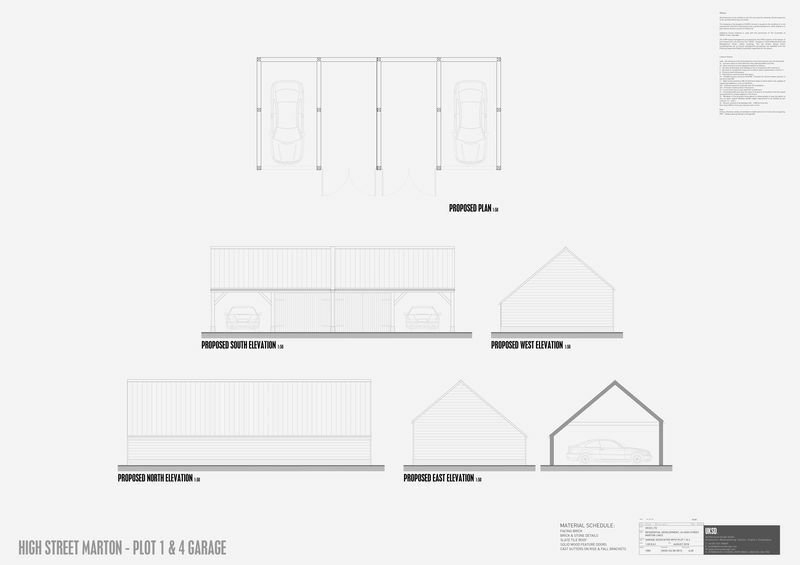 The dwelling will have the appearance of a traditional Lincolnshire agricultural barn. 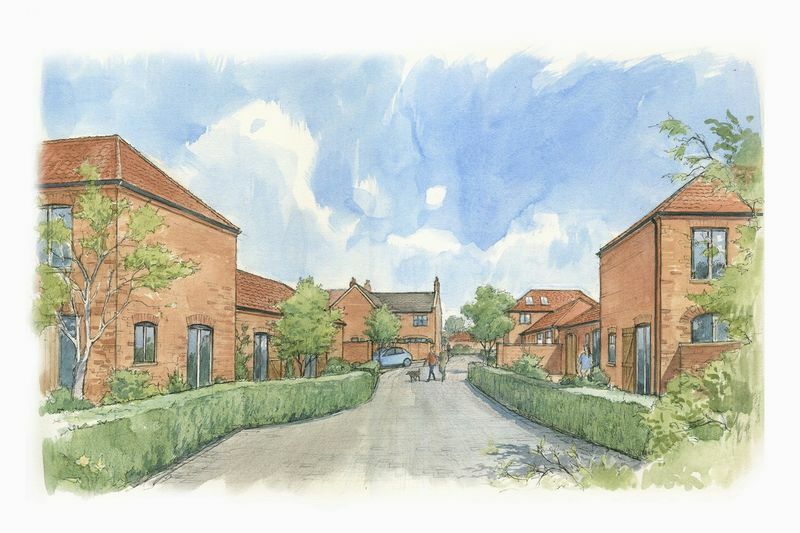 Following the farmhouse and barn, to the rear of the site their will be a further two dwellings (plot 3 & 4) both designed to appear like an ensemble of converted agricultural buildings. 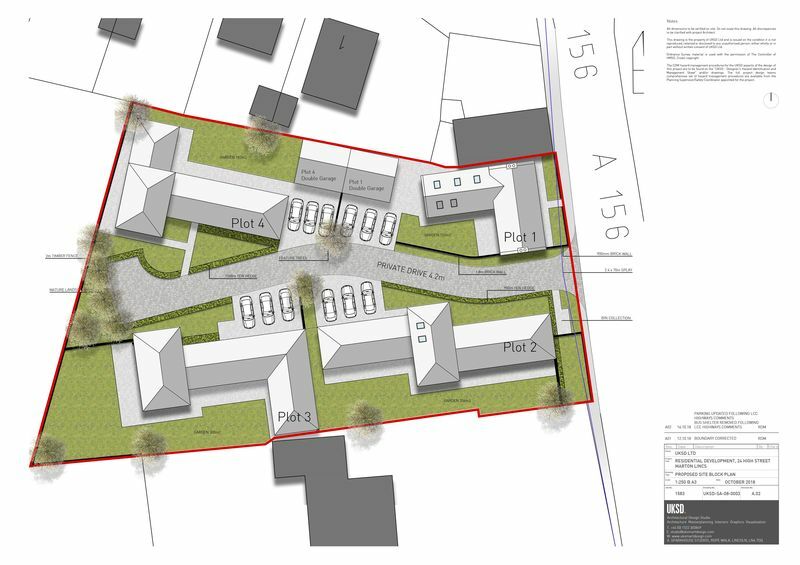 Plots 3 & 4 are designed around a traditional crew yard typology, again reinvented in a contemporary way. Materials have be chosen to reinforce the traditional farmstead concept, using quality locally distinctive materials such as brick, and clay tiles. The new owners will have the opportunity to work with Modern Edge Development Group and UKSD to design their new home as they wish & built to their specification if required. 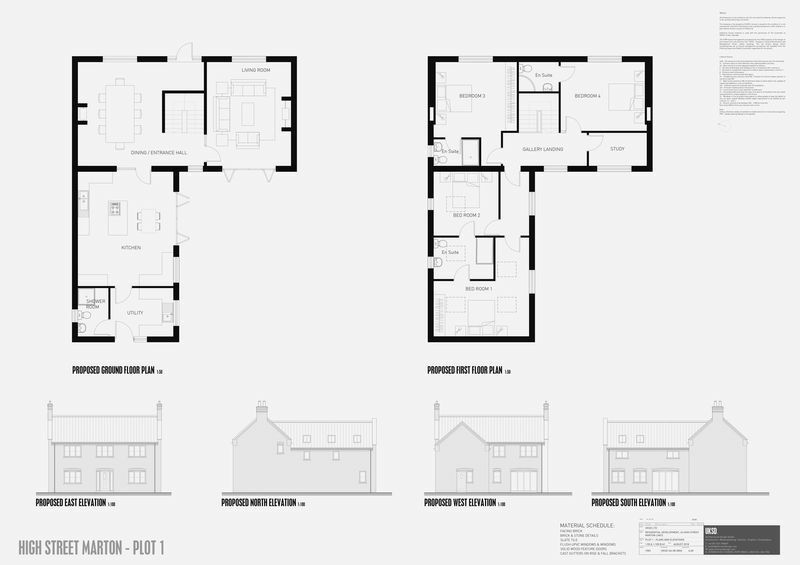 The current owners, using their professional expertise, have three different plans in place to provide three variants of an extraordinary home. The peaceful & scenic parish village of Marton is located approximately 11 miles north west of the City of Lincoln. There are many excellent leisure opportunities in the surrounding areas including walking and cycling in the Lincolnshire Countryside, golf at the many local courses, fishing on local rivers and lakes, nearby historic landmarks and visitor attractions. The historic town of Gainsborough provides a wide range of shopping facilities and amenities, including the award winning Marshall’s Yard Shopping Centre. The town also has several supermarkets, highly regarded Queen Elizabeth’s Grammar School. East Coast mainline rail services to London Kings Cross can be accessed at Retford (13 miles) and Newark (22 miles). Accessed via a private no through road; the properties are within easy access of main road networks, enabling a peaceful lifestyle whilst having all the modern day requirements and facilities within easy reach. Marton is within a commuter distance for Lincoln and has good links onto the A1 to the west and the M180 to the north. The site itself is to the west of the village with views over countryside particularly to the east. The village lies at the junction of the A156 (which links with the A57) approximately 5 miles to the south and the A1500 (which links with the A15 approximately 8 miles to the east). The property is sold subject to, and with the benefit of, all existing easements, wayleaves and rights of way whether or not specifically mentioned in these particulars.